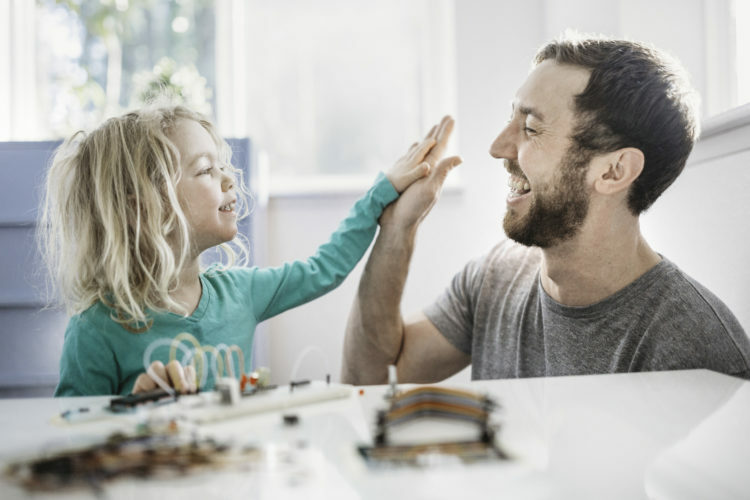 Here at The Behavior Exchange, we wholeheartedly embrace the power of positive reinforcement as an evidence-based Applied Behavior Analysis therapy technique. Our ABA therapists can help your family use positive reinforcement techniques at home to support your child’s achievement. Positive reinforcement involves rewarding children when they comply with a directive. For example, positive reinforcement can help your child learn how to use verbal language to request things. When your child uses words to ask for a glass of milk, he or she is rewarded with a glass of milk. Our autism therapists can also show your family how to use positive reinforcement to replace undesirable behavior with a desirable one. This can make life easier for parents and siblings alike, particularly when the child has been experiencing behavioral difficulties in public settings. Parents near Plano can explore Applied Behavior Analysis techniques with the help of the knowledgeable, friendly team at The Behavior Exchange. Give us a call today at (888) 716-8084. Compared to children without autism, children affected by autism have a substantially higher risk of suffering from sleep difficulties. This can lead to problems for the whole family, as a child who can’t get to bed or awakens frequently at night is apt to awaken the rest of the family as well. Since sleep is so crucial for health and quality of life, it’s important that parents speak with the behavior analyst about any sleep difficulties their child has been experiencing. Insomnia is common among individuals with autism. This means it takes them longer to fall asleep, and they are more likely to wake up during the night. It’s also possible that some children with autism have sleep apnea, a condition in which breathing ceases and restarts in a cyclical fashion throughout the night. Furthermore, children with autism tend to spend less time in rapid eye movement (REM) sleep. REM sleep is essential for memory retention and learning. Individuals who get less REM sleep experience fewer of the restorative benefits of sleep. There are several reasons why people with autism tend to have more problems sleeping. Often, it’s because of conditions that frequently co-exist with autism. 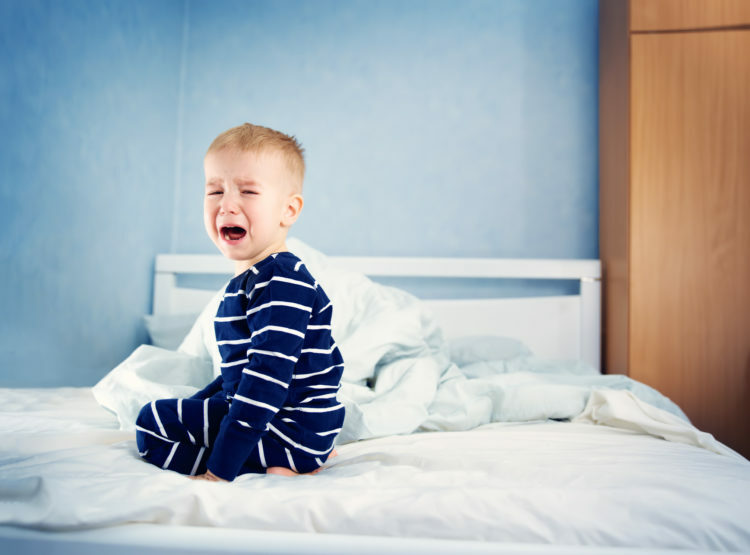 For example, children may also be diagnosed with attention deficit hyperactivity disorder (ADHD) and anxiety disorders, both of which can interfere with proper sleep. These kids are also more likely to have gastrointestinal problems, such as constipation that causes cramps. This can understandably make relaxation and sleep more elusive. Insufficient, poor-quality sleep isn’t healthy for anyone. But for children with autism, it can be particularly disadvantageous. There is evidence to suggest that sleep-deprived children may have more severe symptoms of autism, including severe repetitive behaviors and poor social skills. And of course, they’ll also have more difficulty paying attention in class. Children affected by autism in the Plano area can find the help and support they need at The Behavior Exchange. Our behavior analysts focus on empowering children, parents, and siblings to improve quality of life for the whole family! You can get in touch today at (888) 716-8084. Could Your Child Benefit from One-on-One Therapy? Autism therapists employ a range of evidence-based techniques to help children improve their functional abilities. In general, it’s recommended that children with autism have intensive one-on-one therapy sessions first before adding group skills classes. 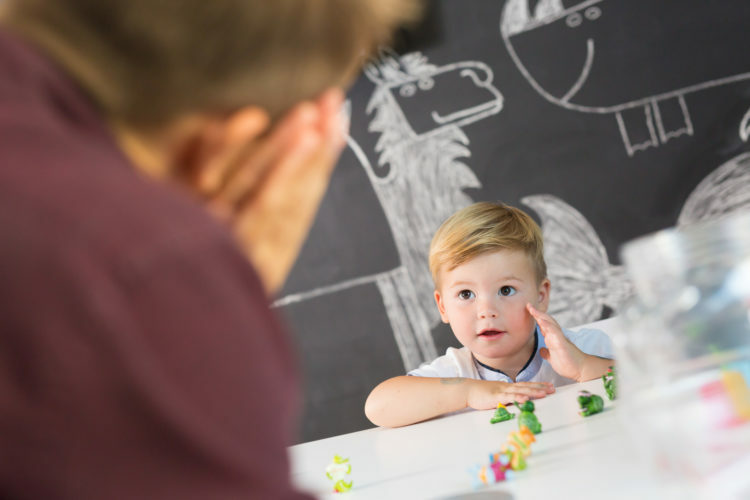 During your child’s individual sessions with the ABA therapist, he or she can work on behavioral skills such as compliance and instruction following. Your child will also develop self-help skills to increase independence and make daily life easier for the whole family. All children with autism have unique needs. Your child’s individual therapy sessions will be customized to help him or her work toward established goals. These goals will likely include academic targets as well as behavioral improvements. Reading, writing, and mathematics are all fundamental academic skills that your child can work on in individual therapy sessions. Families affected by autism in the Plano area are encouraged to contact the ABA therapy team at The Behavior Exchange. Call (888) 716-8084 to inquire about our individual therapy sessions. Applied Behavior Analysis (ABA) is a time-tested, evidence-based collection of techniques that autism therapists can use to help children achieve a higher level of functioning. The effectiveness of ABA has been proven with decades of scientific studies. It’s long been known that the sooner a child with autism receives early intervention with ABA, the better the outcome is likely to be. Autism Speaks, the national advocacy group, took a closer look at a study published in the journal Pediatrics, which evaluated children as young as 18 months of age. The autism study took place over five years. It was spearheaded by a research team from the University of Washington in Seattle. The study participants were 48 children between the ages of 18 and 30 months of age. All of the children were diagnosed with autism, and none were diagnosed with other health problems. The study participants were divided into two groups. The first received 20 hours of ABA therapy per week, along with five hours of therapy delivered by their parents. Specifically, the intervention group followed the Early Start Denver Model, which uses ABA techniques combined with relationship-based methods. The other group was referred to community-based resources. At the end of the five-year study, Autism Speaks reports that the control group had gained four IQ points, compared to an average of 18 points for the children in the intervention group. The researchers also evaluated receptive language skills. The control group improved by about 10 points, compared to about 18 points for children in the intervention group. The researchers noted that the intervention group likely made better progress thanks to the structured teaching, which used a relationship-based approach that took advantage of play-based learning opportunities. The researchers also lauded the parental involvement, noting the importance of consistency across environments. The ABA therapists at The Behavior Exchange work closely with preschool-age children in our B.E.E.S. program. It’s carefully designed to help children with autism in Plano develop social, language, motor, behavior, and academic skills. If you’ve noticed possible signs of autism in your child, please give us a call today at (888) 716-8084.